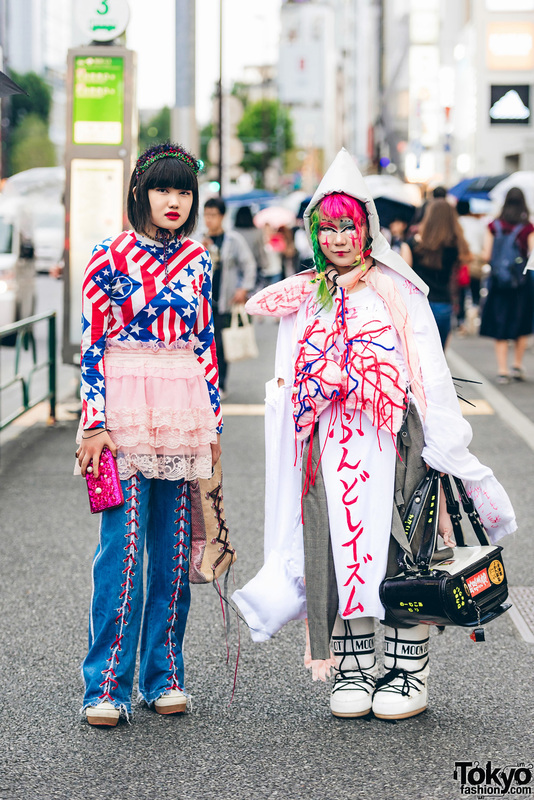 Harajuku girls in chic & stylish lace streetwear styles with balloon dress, hoodie dress, mismatched glitter sneakers and crocodile leather boots. Japanese students exuding retro charm in vintage and resale pieces. 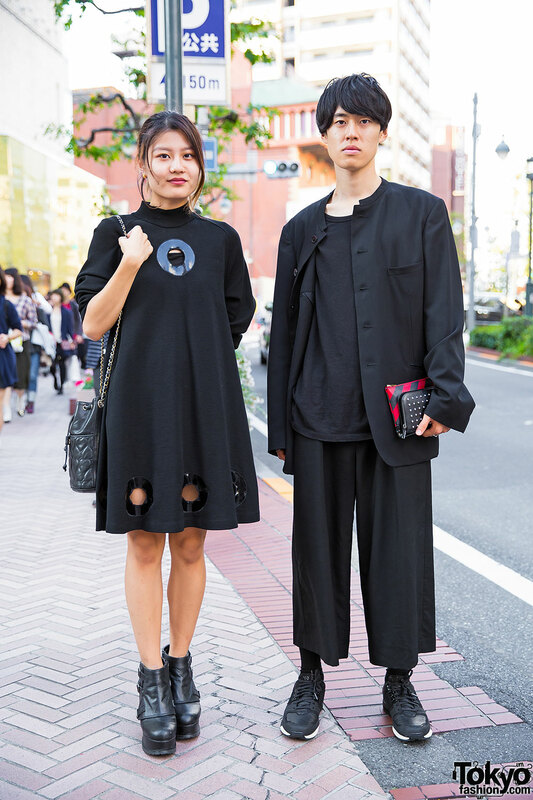 Shibuya guy in all black designer blazer, top, pants, clutches and sneakers vs. Shibuya girl in all black vintage dress, bucket bag and ankle boots. Harajuku girl’s blue hair falls worn with flames print, a harness, lace-up boots and leather bracelets. Stylish Harajuku guy in houndstooth sweater with high waist pants, brogues and chunky cross choker. Girl with long auburn hair in Jeremy Scott top & skirt with fishnet stockings. Green-haired WEGO staffer with a colorful tattoo wearing torn denim shorts, a sukajan jacket and studded platform shoes from Tokyo Bopper in Harajuku.